There are a ton of smart people writing about nonprofit technology and communications to help nonprofit communicators keep up on the latest online trends and developments. When you need to take a really deep dive into critical topics, but don’t want to rely on your own trial and error it helps to look beyond blogs and social media. Thankfully, you can take advantage of great in-depth research and findings published in nonprofit reports. Here are 11 nonprofit reports that are worth a look when you want to brush up on everything from nonprofit social media adoption, staffing, fundraising, and online engagement best practices. 1) The Nonprofit Social Media Policy Workbook – Sometimes “don’t be stupid” is good enough as an informal policy to guide an organization’s social media engagement. However, many organizations look to create an official policy to satisfy legal concerns, make senior leadership more comfortable, and to provide more in depth guidelines to staff who engage supporters and the public on social channels. 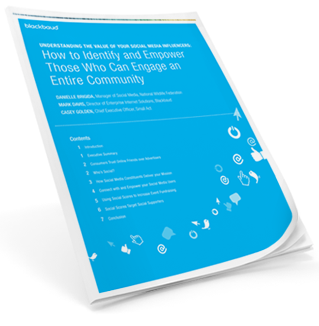 This great workbook from Idealware and Darim Online provides insightful questions, exercises, and a sample policy template that community managers can use as a starting point in creating an organization’s official social media policy. Debra Askanase has a great review of the workbook that I’d recommend you check out as well. 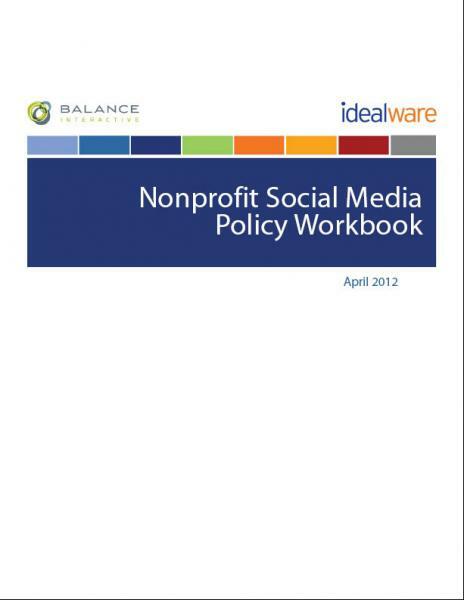 The Nonprofit Social Media Decision Guide, also from Idealware, is a good complimentary resource. 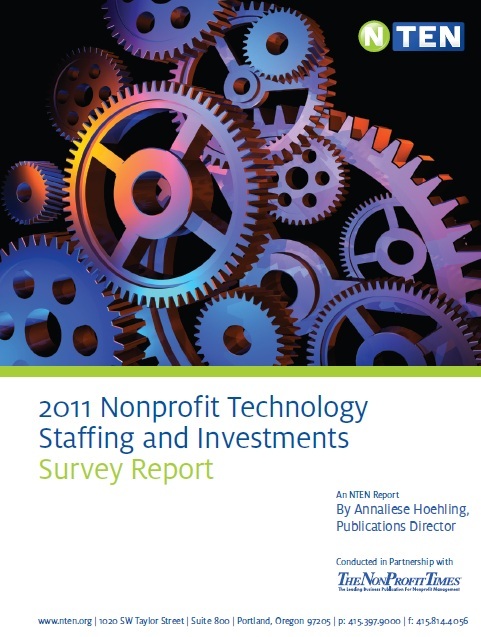 2) 2011 Nonprofit Technology Staffing & Investments Survey Report – If you are planning guidelines for your organization’s use of social media you will also want to take a close look at your organization’s technology staffing and capacity. This report from NTEN by Annaliese Hoehling, shares the findings of a staffing survey that received nearly a thousand responses from nonprofit professionals. Organizations have an average 3.5 technology staff and the average ratio of tech staff to organizational staff is 1 tech staff to about 60 organizational staff. Check out the full report to see how your staffing stacks up with that of other organizations of similar size and tech adoption level. 3) A Consumers Guide to Low Cost Donor Management Systems – If you are still managing your donor database with Excel spreadsheets it’s time for a better solution. Idealware’s report explores the essential features of nonprofit CRMs and donor management systems and makes recommendations based on specific needs. The guide includes a comparison of 29 different systems and offers detailed reviews of 10 of the most popular. 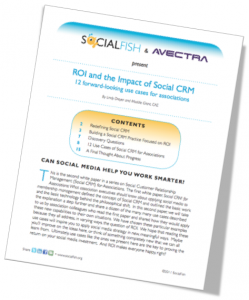 Here’s your first stop if your starting from square one to select a nonprofit CRM. 5) Understanding the Value of Your Social Media Influencers: How to Identify and Empower Those Who Can Engage an Entire Community – In the era of big data and social media, organizations have an unprecedented amount of information about individual supporters. In this report Danielle Brigida of the National Wildlife Federation, Mark Davis of Blackbaud, and Casey Golden or Small Act, dig in to how this nonprofits can use this information to inform the way they attract people to their missions, enhance fundraising campaigns, and empower their communities. 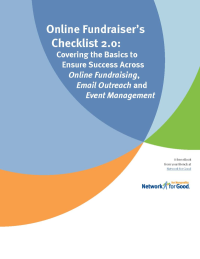 6) The Online Fundraiser's Checklist 2.0 – This great resource from Network for Good includes handy checklists to help you ensure you are following best practices and not forgetting anything major in your organization’s homepage, donation forms, email marketing, online writing, and events. Obviously, you should put a lot more thinking into each of these elements in your program, but these are great for a periodic review. 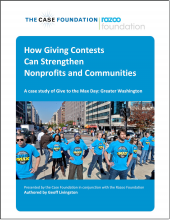 7) How Giving Contests Can Strengthen Nonprofits and Communities – This report, authored by Geoff Livingston, was commissioned by the Case Foundation and presented in conjunction with Razoo. The report examines the key factors contributing to the success of Give to the Max Day: Greater Washington and serves as a good primer for organizations looking to get started with giving days or personal fundraising programs of their own. I shared my favorite lessons from the report earlier this year. 8) The Giving Challenge 2009: Assessment and Reflection Report – This blast from the past report is a perfect companion to Razoo’s report on Giving Contests. 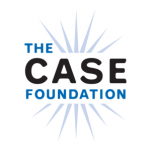 Alison Fine and Beth Kanter produced this debrief from the Case Foundation’s America’s Giving Challenge. The report shares lessons learned during the 30-day national competition in which almost 8,000 causes raised nearly two million dollars from over 82,000 donors. It’s an interesting read looking back now with all we know about the way social fundraising has matured since 2009. 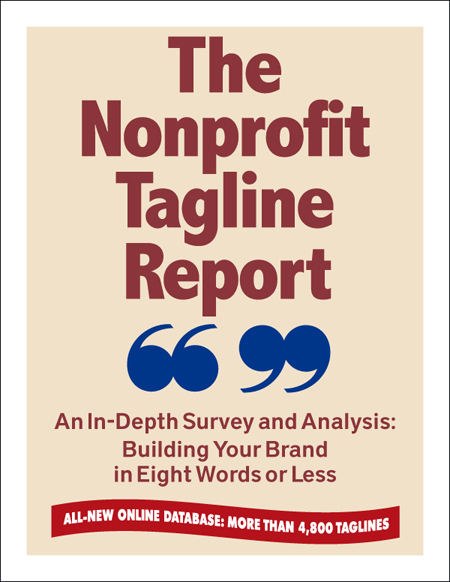 9) The Nonprofit Tagline Report – This report from Nancy Schwartz looks at the tagline do’s, don’ts, and trends. Your organization’s tagline can be a powerful cue to your audience about your values and personality so get it right! As a bonus, the report gives you access a huge database of organizational taglines that you can browse as you go through your own tagline process. Speaking of which, the 2012 Nonprofit Tagline Awards are open now for submissions so get yours in! 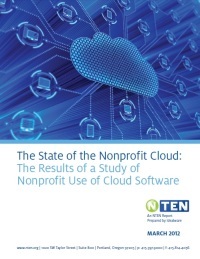 10) 2012 State of the Nonprofit Cloud Report - This report from NTEN explored how nonprofits as using cloud software for communication, collaboration, data backup, and other key programs. 780 nonprofit professionals were surveyed. Download the full report or check out Allyson’s key cloud takeaways. 11) Online Politics 101 –Colin Delany over at e.politics has a lot of wisdom to share in this primer on online politics from A to Z. You can get a taste from his Eight Simple Rules for Online Politics which provides a sample of the full report. Looking for more? Nonprofit Tech 2.0 recently posted a list of Must-Read Reports for Nonprofits where you can find even more great reports with worthwhile lessons. You may also enjoy browsing this Pinterest Board of Nonprofit Reports. Avi Kaplan is a Senior Strategist at Rad Campaign, a firm that provides web design, web development, online marketing, and strategy to nonprofit organizations and political campaigns.